Despite current treatments, people with diabetes continue to be affected by the long-term consequences of the disease. These long-term consequences are called complications and they include eye disease, kidney disease, nerve disease and heart disease. Kidney disease due to diabetes is the most common cause of kidney failure requiring treatment with dialysis or kidney transplantation and people with kidney disease are much more likely to also suffer from heart disease. 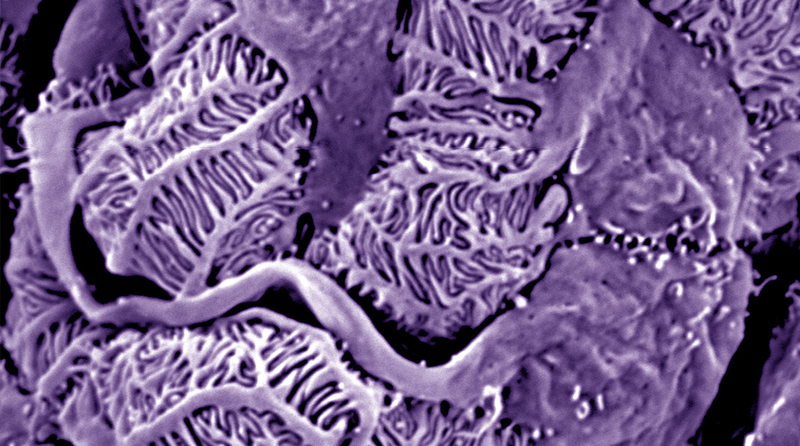 The Advani Lab is committed to conducting research on the causes of kidney disease in diabetes and on the links between kidney disease and heart disease. Through this research we aim to develop new and better treatments for diabetes to reduce the burden of the condition on the millions of people affected. 3) Re-purposing of existing therapies and exploration of the glucose-independent effects of diabetes treatments. Congratulations to Ben Markowitz on the successful defense of his Master's thesis. We wish you the best of luck in your future endeavours, Ben. Congratulations to Ben Markowitz on winning the prize in clinical science at the St. Michael's Hospital Research Training Centre Research Day. Our paper describing the epigenetic effects of histone phosphorylation on endothelial activation in diabetic kidney disease, first-authored by Tamadher Alghamdi, has been published in the journal, Diabetes. Our article reviewing the actions of HDAC inhibitors in diabetic kidney disease, first-authored by Mitchell Hadden, has been published in the International Journal of Molecular Sciences. Our paper describing the opposing cardiac effects of DPP-4 substrates in young mice and aged diabetic mice, first-authored by Dr. Sri Batchu, has been published in the journal, Diabetes. Congratulations to Dr. Veera Ganesh Yerra on being awarded a post-doctoral fellowship from Diabetes Canada. The second of our videos for people living with diabetes, created with Dr. Janet Parsons, is now available online. This video is on hypoglycemia for people with insulin-treated diabetes and it can be viewed here: Click here to view our second DiaBiteSize explainer video. Our paper entitled "Histones and heart failure in diabetes", first authored by Veera Ganesh Yerra, has been published in the journal Cellular and Molecular Life Sciences. Congratulations to Mitchell Hadden on receiving a Banting and Best Diabetes Centre-Novo Nordisk Studentship. Congratulations to Tamadher Alghamdi and Ben Markowitz on each receiving travel awards from the Banting and Best Diabetes Centre to present their research at the annual meeting of the American Diabetes Association. A belated congratulations to Bridgit Bowskill and her husband Andrew on the birth of their beautiful son, Alex. We wish Hana Klassen Vakili all the very best as she pursues new opportunities in the U.S..
Congratulations to Tamadher Alghamdi on winning the Laidlaw Manuscript Prize from the University of Toronto Institute of Medical Science. A podcast in which Andrew Advani discusses the lab's mission and work with Diabetes Canada is now available online. Click here for Diabetes Canada podcast. Our paper reporting the effects of HDAC6 inhibition, first authored by Angela Brijmohan, has been published in Frontiers in Pharmacology. Our DiaBiteSize explainer video on diabetic ketoacidosis, created in partnership with Dr. Janet Parsons, has received a Special Commendation from the Institute of Human Development and Child and Youth Health of the Canadian Institutes of Health Research. Congratulations to Mitchell Hadden on being awarded an SMH-LKSKI Scholarship. Our paper describing how shifts in podocyte histone H3K27me3 regulate glomerular disease has been published in The Journal of Clinical Investigation. A great team effort led by our lab's great friends Syamantak Majumder and Karina Thieme. Our paper examining the effects of SGLT2 inhibition in FSGS, conducted in partnership with Dr. David Cherney's group, has been published in the American Journal of Physiology- Renal Physiology. Welcome to Veera Ganesh Yerra who has joined us as a new Post-doctoral Fellow. Some changes in the lab over the past couple of months. Firstly, we say a sad farewell to Dr. Karina Thieme who has returned to Sao Paulo having completed her Research Internship Abroad. Karina- you are, and will continue to be, sorely missed. We also welcome Hana Klassen Vakili who has joined us as a new Post-doctoral Fellow and Mitchell Hadden who has joined us as a new graduate student. Welcome Hana and Mitchell! Congratulations to Ben Markowitz, co-supervised by Dr. Janet Parsons, on receiving a Queen Elizabeth II Graduate Scholarship in Science and Technology Award. A heartfelt thank you to Diabetes Canada for awarding Andrew Advani a 5 year Diabetes Investigator Award. We look forward to continuing to work with you to find new ways to improve the lives of people with diabetes throughout Canada. Today we bid a fond farewell to Angela Brijmohan as she leaves the lab to start medical school at Queen's University. A very fond farewell to our lab's great friend Syamantak Majumder as he leaves to take up an Assistant Professor position back home in India. Congratulations to Angela Brijmohan for successfully defending her Master's thesis. Our paper entitled "EP4 inhibition attenuates the development of diabetic and non-diabetic experimental kidney disease", first authored by Karina Thieme, has been published online in Scientific Reports. Aside from our fundamental work in the lab, we are actively involved in both patient engagement and knowledge translation. Together with Dr. Janet Parsons at St. Michael's Hospital we have created a video for patients about the risks, symptoms and treatment of diabetic ketoacidosis. Click here to view our first DiaBiteSize explainer video. 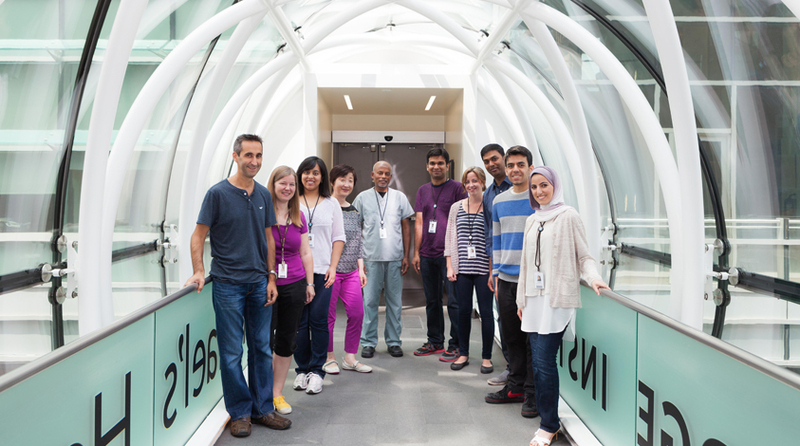 WE HAVE VACANCIES FOR POST-DOCS TO START IMMEDIATELY. The Advani Lab has received new grants from CIHR, the Heart and Stroke Foundation, Kidney Foundation and Banting and Best Diabetes Centre totalling a little over $1M. We have vacancies for post-docs who wish to gain training in epigenetic mechanisms in kidney disease, heart failure or islet biology. Recent successes from our trainees include first authored papers in JASN (2016 & 2017) and Diabetes (2016); national research awards and fellowships; and independent faculty positions. Interested candidates should send a CV to advania@smh.ca. Our paper entitled "Janus Kinase 2 Regulates Transcription Factor EB Expression and Autophagy Completion in Glomerular Podocytes", first authored by Tamadher Alghamdi, has been published online in the Journal of the American Society of Nephrology (JASN). Some news updates from our lab over the past three months. In August, Karina Thieme joined us as a post-doctoral fellow visiting from Brazil for a year. Welcome Karina! In September, Ben Markowitz published an article in the Canadian Journal of Diabetes discussing the challenges faced by emerging adults with diabetes. In October, Sam Majumder published an article in the Journal of Diabetes and its Complications reviewing the actions of VEGF in the diabetic kidney. Congratulations Ben and Sam! Congratulations to Angela Brijmohan on being awarded a Queen Elizabeth II/Dr. Arnie Aberman Graduate Scholarship in Science and Technology. Congratulations to Angela Brijmohan on being awarded a Banting and Best Diabetes Centre-Novo Nordisk Studentship. Congratulations to Angela Brijmohan on winning the Alan Wu Poster Competition at the University of Toronto, Institute of Medical Science Scientific Day. We welcome Sarah McGaugh and Nikita Thakkar as new summer students and we send our heartfelt congratulations and best wishes to Giuliana Guarna, a friend of the lab and previous summer student, who has been accepted into medical school at McMaster University. Congratulations to Angela Brijmohan on winning the Best Abstract Award at the Canadian Society of Nephrology. Our paper entitled "The therapeutic hope for HDAC6 inhibitors in malignancy and chronic disease" has been published in Clinical Science. 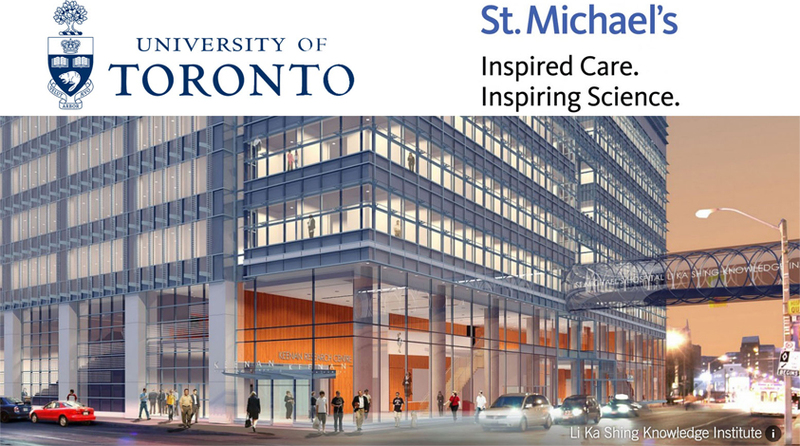 Congratulations to Tamadher Alghamdi and Angela Brijmohan on placing first and second in the St. Michael's Hospital Research Training Centre Oral Competition. Our article describing the therapeutic effects of IP receptor agonism in diabetes has been published in the journal Diabetes. Tamadher Alghamdi presented her abstract on the regulation of endothelial-podocyte crosstalk in diabetes at the World Diabetes Congress in Vancouver. Andrew Advani was awarded the Dr. Charles Hollenberg Young Investigator Award (Basic Science) by the Canadian Society of Endocrinology and Metabolism. Our article describing a role for the histone methyltransferase EZH2 in protecting podocytes from injury in diabetes has been published online in the Journal of the American Society of Nephrology. We welcome Ben Markowitz as a new MSc candidate. Our article on the epigenetic regulation of podocyte function in diabetes in the Journal of Diabetes and its Complications is available online. Congratulations to Sri Batchu on being awarded a Heart & Stroke/Richard Lewar Centre of Excellence Fellowship Award. Congratulations to Angela Brijmohan on being offered a Yow Kam-Yuen Graduate Scholarship in Diabetes Research from the Banting and Best Diabetes Centre. Research in the Advani Lab is supported by the Canadian Institutes of Health Research, Heart and Stroke Foundation of Canada, Canadian Diabetes Association, Kidney Foundation of Canada and Banting and Best Diabetes Centre. The Advani Lab is always interested in hearing from highly motivated and accomplished individuals interested in post-doctoral fellowships or graduate studentships.